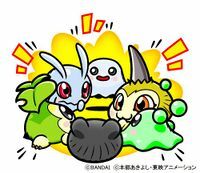 Although it looks like it is just pale green bubbles at first glance, it is a Bubble Digimon that can move freely and express a plethora of facial expressions. Because its surface has not hardened yet, its defensive power is nonexistent and it is equally unsuited for combat. 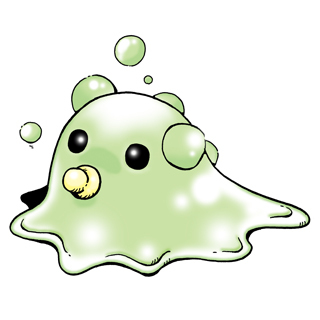 From the portion that looks like a pacifier held in its mouth, it generates tiny bubbles, and proliferates them infinitely. 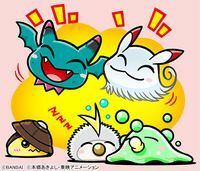 As for that proliferation, at one point, it started being used for computer virus development, but because its life force was too weak, that was fortunately never implemented. 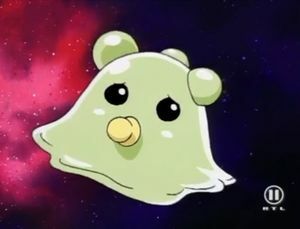 Although its life is fleeting, it is a lovable Digimon Baby that lives earnestly. 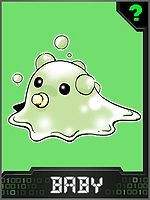 Its specialty is escaping while the intruder's movement is restricted by the adhesive bubbles it generates from within its body. 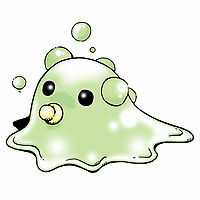 Awa  Bubbles 泡 N/A Bubbles Spits out bubbles from its mouth. This page was last modified on 8 April 2019, at 23:47.